Cost: R10 per ticket, buy as many as you like! Tickets are sold from 12h00 to 17h45 at the Casino Cash Desk on Mondays, tickets sold at The Venue from 18h30 for last three sessions. Multiple bingo sessions played between 18h00 and 21h00. 10% of the pot is added to the progressive jackpot. The progressive jackpot amount will never be less than R20,000. Cover all your 15 numbers on a single ticket within the 1st 45 numbers called and walk away with the progressive Jackpot! No persons under the age of 18 are permitted to take part in the tournament. This tournament is closed to all employees of Hemingways Casino, their immediate families, suppliers, advertising agencies and their contractors. 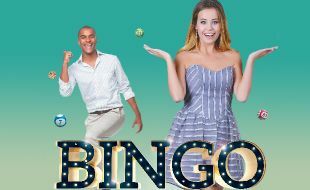 Bingo participation is Exclusive to Rewards Cardholders. Ticket entered will only be valid for the date of issue. Tickets are treated as cash. Hemingways Casino will not be held responsible for replacing lost or misplaced tickets. The vouchers may not be transferred or exchanged for cash. Hemingways Casino Management has all the rights to exclude any player at their own discretion and anybody who does not comply with the rules will be disqualified without a refund. Hemingways Casino Management reserves the rights to; issue tickets in any manner they deem fit, change any rules of this tournament with prior approval from the ECGBB or to terminate the tournament without prior notification and all tickets will be withdrawn. Only the bingo call on the last number called will be valid and no late calls will be considered. All prizes will be paid after the tournament Manager has verified the ticket. A Valid form of identification or Hemingways Rewards Programme card and ticket is required to claim the prize and any alterations on the ticket will be void. Each rule of the promotion shall be severable from each of the other rules and if any rule is found to be void, invalid or unenforceable for any reason, the remaining rules shall remain in full force and effect. Tournament Director’s decision (or a Management Representative thereof) will be deemed as final and no correspondence will be entered into; any complaints arising at the event will be investigated and forwarded to the ECGBB for investigation and final decision.